Our experienced dental team works together with our Little Rock dentists to provide exceptional oral health care! Jennifer received her Dental Hygiene degree and her Masters in Public Health from the University of Arkansas for Medical Sciences. 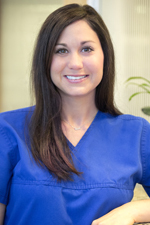 She has been with Dental Solutions of Little Rock since December of 2001. Jennifer is affiliated with the American Dental Hygienists’ Association and the Arkansas State Dental Hygienists’ Association. She is currently serving as the hygienist on the Arkansas State Board of Dental Examiners. She is also a dental hygiene examiner for the Southern Regional Testing Past – President of the Ark, State Dental Hygienists’ Association, and past Ethics Committee member of the American Dental Hygienists’ Association. 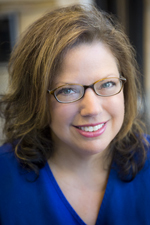 Jennifer has been a co-author of multiple articles about ethics in ACCESS magazine, a national dental hygiene publication. Jennifer loves to talk about Cardinals baseball, travel, and spend time with her family. Julie graduated from the University of Arkansas for Medical Sciences in 1987. She has been with Dental Solutions of Little Rock since 1993. 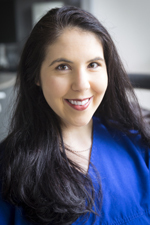 She is affiliated with the American Dental Hygiene Association, the Arkansas State Dental Hygienist’s Association, and the Central District Dental Hygienist’s Association. In her spare time, she likes to travel and spend time with her son and husband. 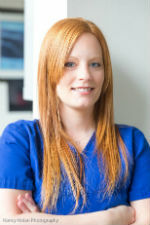 Cristin obtained her Registered Dental Assistant’s license in 2009. She has been with Dental Solutions of Little Rock since that time. She enjoys cooking and spending time with her family, including her precious dog, Rosie. 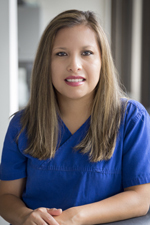 Julissa obtained her Registered Dental Assistant’s license in 2007 and has been with Dental Solutions of Little Rock since 2012. 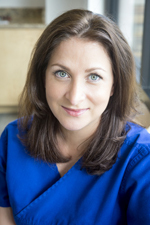 “I am a people person and I love working with and learning about our patients. This job is so interesting, each patient has a different need and each case is different. The combination of working so closely with patients and the incredible opportunity to learn and grow makes this the perfect job for me. Dentistry today is exciting, the field of dentistry is constantly changing and it keeps me on my toes. The technology is incredible and Dr. Richardson and our entire team are committed to remaining cutting edge, in both the areas of high-tech dentistry and patient experience. With those two goals, how could I want to work anywhere else!” says Julissa. In her free time, Julissa enjoys spending time with her two girls, Abby and Alli, and her husband Carl. They love to travel, spend time outdoors, watch her girls play soccer, and visit the beach! Stacey obtained her Registered Dental Assistant’s License in 1998. She has been working in the dental field since then. She joined Dental Solutions of Little Rock in December 0f 2013. 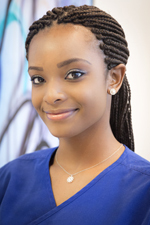 “I came to Dental Solutions of Little Rock because I wanted to be a part of a team that was committed to their patients, to continuous learning, and to keeping up with new technology. I love making a difference in patients’ lives by helping them improve their smiles! The staff here is like a second family.” Stacey enjoys being with her two girls, Katelynn and Gracen, going to the lake, and watching Razorback football. We’d love to meet you and answer your questions. Give Dental Solutions of Little Rock a call today!